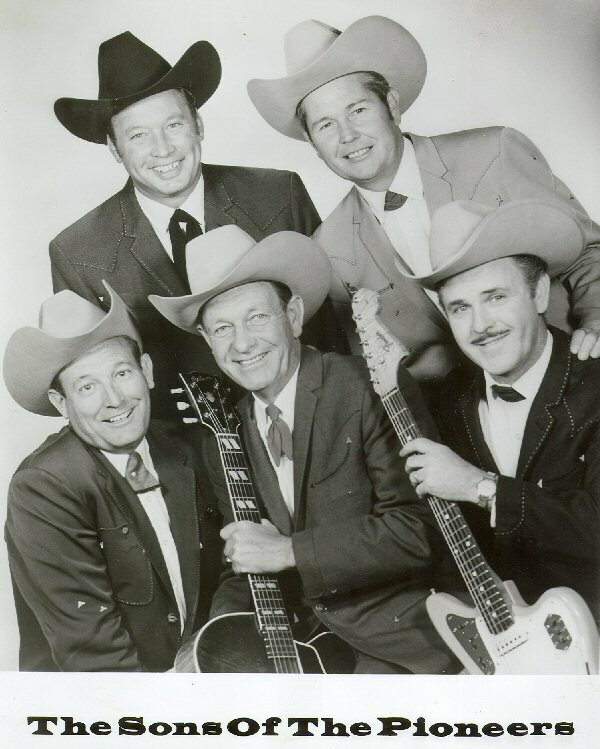 Dale Warren, the ‘Trail Boss’ for the legendary Sons of the Pioneers passed away on August 9, 2008 in Branson. He joined the group in 1952 replacing lead singer Ken Curtis, who went on to play Festus in the long-running television show, Gunsmoke. The Sons of the Pioneers were created by the ‘King of the Cowboys’ Roy Rogers in 1933 and have been in continuous performance ever since. The Smithsonian Institute dubbed them a ‘National Treasure.’ Having been inducted into the Singing Cowboy, National Cowboy and Western Music Association’s Halls of Fame, the Pioneers arguably set the standard for all western singing groups. They have appeared in close to 100 films with stars such as Gene Autry, Bing Crosby, John Wayne and, of course, Roy Rogers. 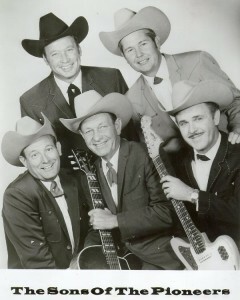 This promotional photograph shows Dale Warren in the upper left with the Sons of the Pioneers in 1967. Note: You can still see the Sons of the Pioneers in performance at Shepherd of the Hills’ Pavillion Theatre, 5586 West Highway 76 in Branson. I highly recommend it. And take your appetite- there’s a Chuckwagon Dinner waiting for you that you are really going to enjoy! The gang at the Branson Tourism Center recently completed shooting segments for a new short-piece video promoting live shows in Branson. As you can see in the picture, legends such as Paul Revere of Paul Revere and the Raiders, long-time Branson favorite Andy Williams and Bill Medley of The Righteous Brothers joined in the fun. Shoji Tabuchi, Jim Stafford, Kirby van Burch, The New Shanghai Circus, the cast of Spirit of the Dance, Twelve Irish Tenors, just to name a few, also breezed in to say hello and support the project. Branson Tourism Center will stream the video on its website and distribute thousands of the DVDs at one of the country’s largest travel and trade shows in Orlando, Florida in early September. There are many compelling reasons to visit Branson- from the stunning natural beauty, to the family-friendly atmosphere, incredible attractions, to more restaurants and shopping than you can describe, but we should all remember that Branson is certainly heralded as one of the main centers for Live Entertainment in America. 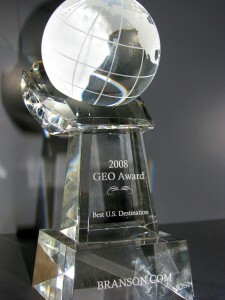 Congratulations to our good friends at Branson.com for receiving the prestigious Best U.S. Destination GeoDomain Award at the 2008 GeoDomain Expo held in July at Chicago’s W Hotel City Center. The GeoDomain Expo, sponsored by Associated Geos and The Kelsey Group, is the largest and most important annual gathering of owners of the most successful U.S. and international ‘major city’, ‘country’ and ‘destination’ focused websites. Attendees of the 2008 Expo were given an opportunity to meet principals from more than 85 high-profile member websites and to participate in information rich industry seminars and social events. Branson.com’s Jeremia Froyland led a spirited discussion on Technology for GeoDomains. He covered areas including developmental strategies, in-house and user generated content production, syndication, social media, metrics in the mobile markets, partnership development and widget/gadget technology features, inter-active maps, and online video. On hand to accept the Best U.S. Destination GeoDomain Award for Branson.com were Projects Director Josh Stauffer, Owner and Founder Larry Milton, and Marketing Director Jeremia Froyland. Branson.com is the most comprehensive web source for information about Branson, Missouri, one of America’s most popular vacation and leisure destination locations. Like millions of people across the world, my eyes were riveted to the television during the opening ceremonies of the 2008 Summer Olympics in Beijing, China. To describe it as spellbinding would be a gross understatement. History, grace, art and culture all infused into what many are calling the benchmark Olympic Opening Ceremony of all-time. Aside from the astounding athletic pursuit displayed, these Games offer us a glimpse into the vast mysteries of the Orient. A couple of years ago my family and I were fortunate to travel around China on a three week trip to adopt my youngest daughter. I know well the pictures emanating from Beijing. Chairman Mao’s portrait overlooking the concrete expanse of Tiananmen Square. The Forbidden City. The Temple of Heaven and the ancient, back alley areas known as the Hutong. We witnessed the massive infrastructure changes as the new Olympic arenas, dormitories and hotels were being built. At the now famous Bird’s Nest Stadium, our bus was stuck in an enormous traffic jam as structural steel was delivered to the construction site. Curiously, we saw road and business signs erected that featured both the complex pictograph characters of the Chinese language and English. The other day I found myself navigating on Branson’s famous Highway 76, the main drag filled with theatres, restaurants, shopping and attractions. While driving down ‘The Strip’ I witnessed a unique seasonal ritual that takes place in Branson every year. You’re driving down the street, usually minding your own business, when the car in front of you suddenly, without any apparent reason, STOPS! The driver’s hand snakes out of his window and, if executed properly, he sends a distinct signal to the world. It’s normally a little wave or a sweeping motion or a gentle point. Often times it is accompanied by a smile. Now I’ve lived many places and visited many cities and when a driver expends the energy to make a gesture out of a window, it’s usually not a good thing. But in this case, everything is fine and dandy. This choreographed exchange of stop and enter, stop and enter, takes place countless times throughout the day in Branson. I must admit that I wasn’t really prepared for it on Highway 65 when I was going 65 miles per hour- but it happened anyway. The Car Dance is not on any schedule and the participants are entirely random. The maneuvers get particularly complex when pedestrians join in. 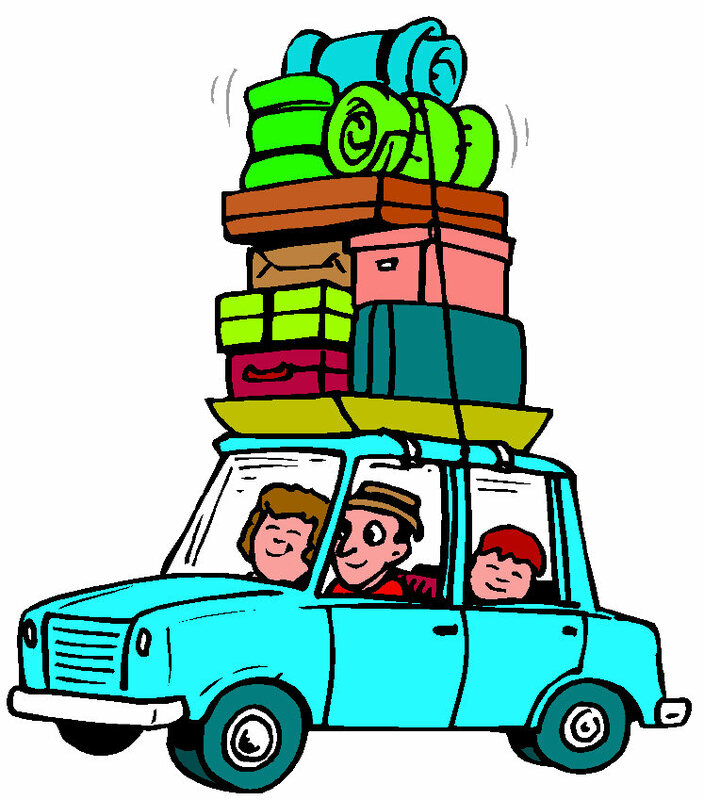 I’ve seen reluctant drivers from far-away lands such as New Jersey and Ontario partake in this ritual. 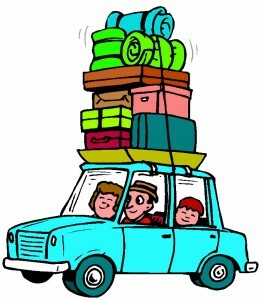 Not sure if you’ll see them being so neighborly back in Toronto or Jersey City, but you never know. 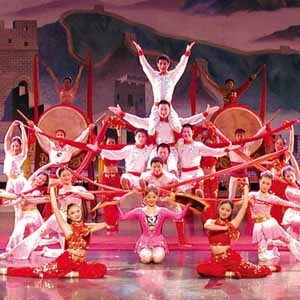 Branson and its friendly people have a way of bringing out the best in everyone who visits here. Happy Car Dancin’ in Branson! I had to chuckle to myself the other day when I heard my four year old daughter sing ‘Rain, Rain, Go Away, Lizzie and Daddy want to play!’ There was a sprinkle coming down and we were having a ball playing in it. Business as usual at our place. Some business folks in Branson, however, aren’t chuckling about rain. Media reports would have you believe that Branson ought to be changing its name to Atlantis, after the mythical underwater city. Unfortunately, they’re confusing this area with the flooding that occurred in central Iowa, in the northern mid-west and along parts of the Mississippi River on Missouri’s eastern border. It’s true that we’ve experienced almost a year’s worth of rain in just seven or so months, but, with apologies to Mark Twain, the reports of Branson, Missouri being underwater are greatly exaggerated! Lizzie and I’ll save some sunshine for you. See you in Branson! You never know who is going to turn up in Branson! A special group of people were in town recently at the RFD-TV Theatre. Well, not exactly a group of ‘people’. It was Terry Fator and his friendly gang of puppets. A master ventriloquist, singer, comedian and celebrity impressionist, Fator won the hearts of millions of NBC-TV fans as he was crowned the 2007 “America’s Got Talent” $1 million prize winner. Branson’s own talented family, The Duttons, fared well on the program, making into the the Top 10 in 2007’s competition. Beginning in February, 2009, Fator and friends will be headlining at Las Vegas’ Mirage Hotel kicking off a five-year $100 Million dollar contract. He continues to sell out concerts nationwide with his mesmerizing ability to combine superb ventriloquy, yes that’s a real word, with amazing celebrity singing impressions. Congratulations, Terry. Enjoy Las Vegas and stop back by Branson anytime. Joe Bryant, Commander of the Harry S. Truman Chapter 135 of the Korean War Veterans Association delivered a heartfelt message for the 55th Anniversary Observance of the Korean War Armistice. On July 27, 1953 a treaty was signed to halt the fighting in Korea. Three years, one month and two days after the hostilities began the arms were silenced. No permanent agreement to end the war was ever reached. American troops are still on duty in South Korea. 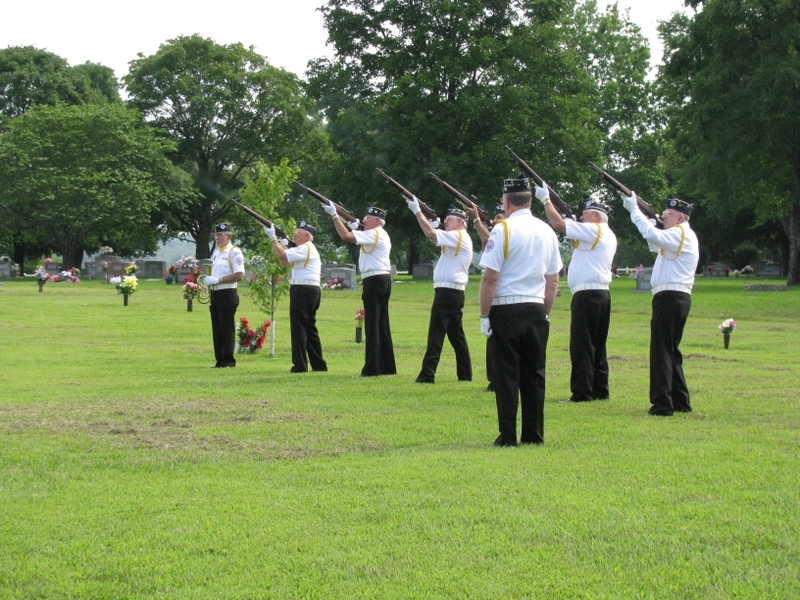 We thank the Harry S. Truman Chapter 135, based in Branson and Hollister, for conducting the commemorative service. If you know a Korean War veteran, please take a moment to thank them for their service. In the several years that I have lived here, I’ve found that the people of Branson are kind hearted and disarmingly friendly. But one of the qualities that I most admire is that they do not forget our nation’s veterans. 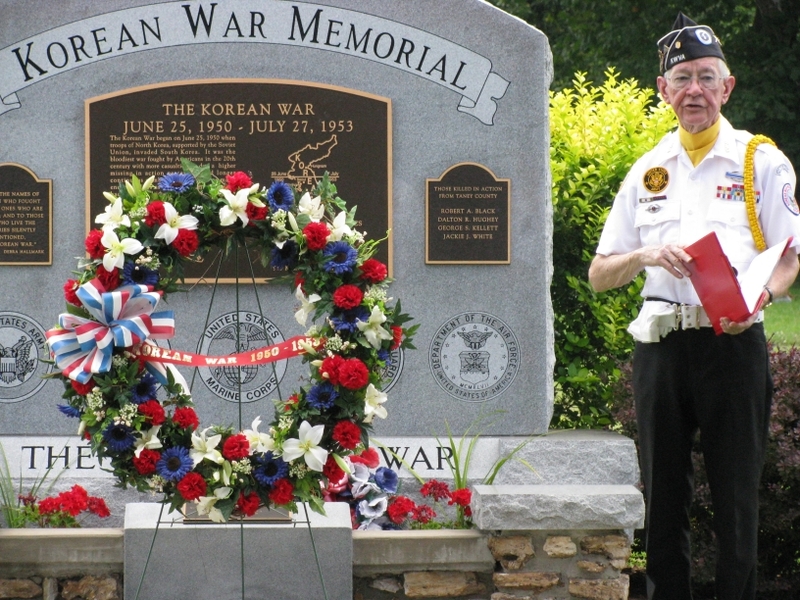 For instance, on Saturday, July 26 the Harry S. Truman Chapter of the Korean War Veterans Association will host a memorial ceremony marking the end of “The Forgotten War.” The remembrance will be held at the Ozarks Memorial Park, 1638 East Highway 76 Branson, Missouri at 10:00a.m. ‘This brief ceremony will be reverent and reflective. Our purpose is to quietly gather to honor veterans, our friends, who served in the Korean War and to remember those who did not return home’ shared Joe Bryant, journalist and Korean War Veteran. 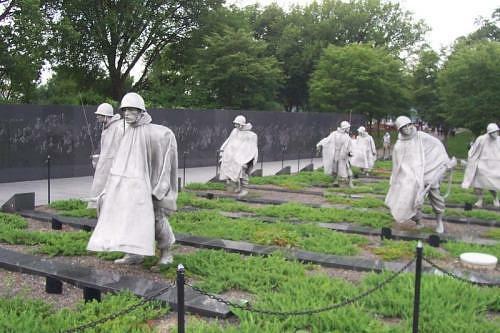 The Korean War is often cited as the Forgotten War because it came on the heels of World War II and was overshadowed in the next decade by the war in Viet Nam. On June 25, 1950, the Communist forces of North Korea, with support from the Soviet Union, invaded their southern Korean neighbors, who were supported by the United States. President Harry S. Truman ordered American troops into battle and they were soon joined by soldiers from 15 other United Nations member countries. The conflict escalated when Chinese soldiers reinforced the North Koreans. An armistice, officially signed on July 27, 1953, ended the fighting. Unfortunately, peace was never truly declared and the country still remains divided. At the time of the Korean War there were 5.7 million men and women in the US Armed Services with 1.8 million having served in the Korean War Theater. More than 36,000 US personnel died in Korea and 103,000 were wounded. Chinese and Korean casualties were higher by a factor of 10. 131 Korean War participants received the Congressional Medal of Honor. Sadly, there are 8176 men unaccounted for. I am proud to say that both of my parents were in the military during those years. Please take time to remember those who served in Korea. It was a typically hot, sweltering summer day in Branson. I was working on my second shot on the Fourth Hole. A warm breeze was flowing from the southwest, but it wouldn’t be much of a factor for my next shot. My ball had miraculously landed just short of a treacherous water hazard and I was hoping to save my par, and my dignity, and move on to Number Five. I didn’t have a caddy helping me out, so I was left to my own devices. A carpet of grass stretched out before me. I detected an almost imperceptible rise about a foot in front of the hole. How should I tackle this? Without thinking, I fiddled with the yellow band on my left wrist. It read WWTD. Indeed, What Would Tiger Do? Steeling my resolve, I addressed the ball. With my perfectly balanced putter, I connected squarely on the sweet spot. It rolled and rolled, and headed for the rise. Was there enough power? Would Tiger have hit it harder? 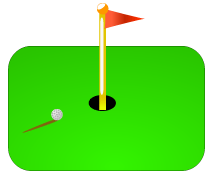 The ball took the rise with vigor as it rolled straight and true, right into the center of the cup. YES! It was all I could do not to throw my hat into the air in celebration. I tried to remain humble as I approached the hole to retrieve my ball. On this day, Hole Number Four would not get the better of me. Now it was on to Hole Number Five and the battle against the dreaded Windmill. There are a lot of great golf courses in Branson – miniature and otherwise. Go out and enjoy one of them.